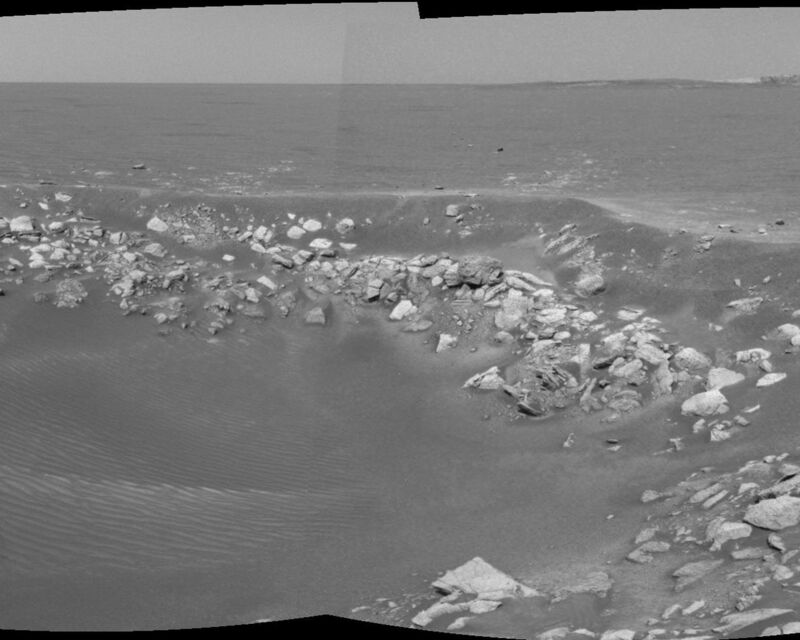 This cylindrical-perspective projection was constructed from a sequence of four images taken by the navigation camera onboard the Mars Exploration Rover Opportunity. It was taken with the camera's right eye. 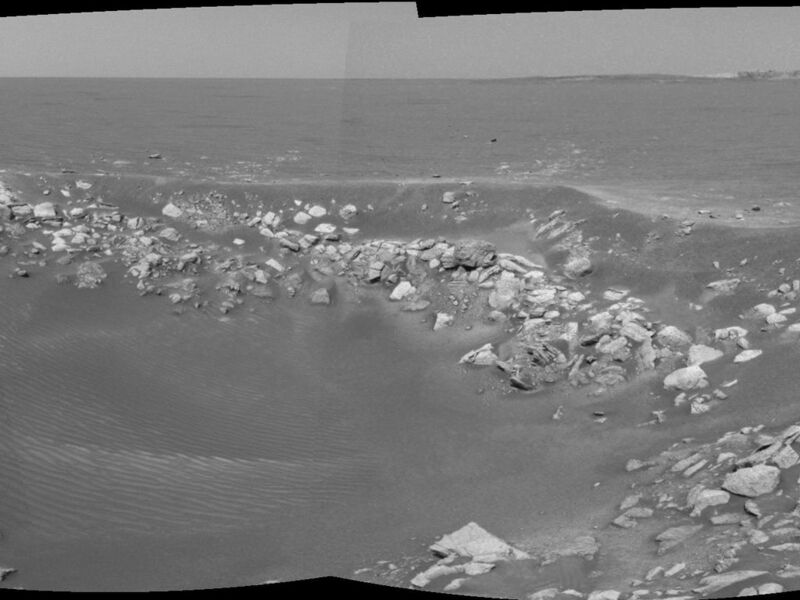 The images were acquired on sol 85 of Opportunity's mission to Meridiani Planum. The camera acquired the images at approximately 14:28 local solar time, or around 6:30 a.m. Pacific Daylight Time, on April 20, 2004. 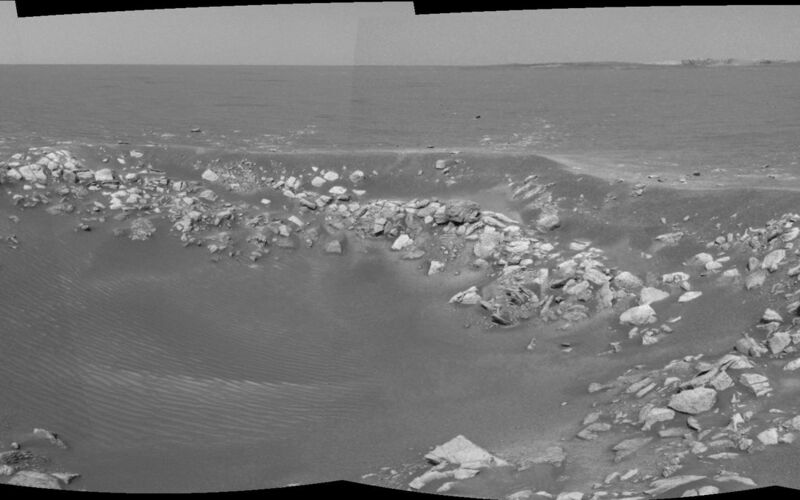 The view is from the rover's new location, a region dubbed "Fram Crater" located some 450 meters (.3 miles) from "Eagle Crater" and roughly 250 meters (820 feet) from "Endurance Crater" (upper right). See PIA05783 for 3-D view and PIA05784 for left eye view of this right eye cylindrical-perspective projection.